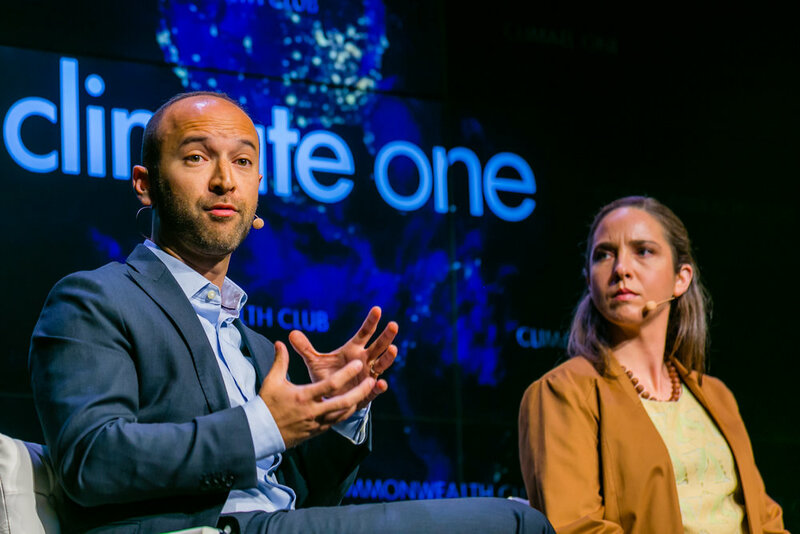 Sol visited Climate One at the Commonwealth Club of California to talk with Katharine Mach and host Greg Dalton on about the economic winners and losers of climate change, both in the United States and globally. Listen to the podcast or watch videos from the event in our video gallery. Solomon Hsiang spoke about methods used value the climate at the Sackler Colloquia on Economics, Environment, and Sustainable Development, organized by Simon Levin, Stephen Carpenter, Gretchen Daily, Sir Partha Dasgupta, Paul Ehrlich, Geoffrey Heal, Catherine Kling, Jane Lubchenco, and Stephen Polasky. Solomon Hsiang gave a keynote at the World Congress of Science Journalists on the science of understanding the social effects of climate change and the role it may play on exacerbating future inequality. The keynote is followed by a 25 min Q+A with the audience of journalists. Solomon Hsiang surveyed new approaches to valuing planetary scale assets, using climate as an example, to other Kavli Fellows at the annual symposium run at the National Academy of Sciences. Want to be on the silver screen? Get a PhD. Sol was interviewed for a new documentary (which he hasn't seen yet). ‘The Hurt Locker’ meets ‘An Inconvenient Truth’, THE AGE OF CONSEQUENCES investigates the impacts of climate change on increased resource scarcity, migration, and conflict through the lens of US national security and global stability. Through unflinching case-study analysis, distinguished admirals, generals and military veterans take us beyond the headlines of the conflict in Syria, the social unrest of the Arab Spring, the rise of radicalized groups like ISIS, and the European refugee crisis – and lay bare how climate change stressors interact with societal tensions, sparking conflict. Whether a long-term vulnerability or sudden shock, the film unpacks how water and food shortages, drought, extreme weather, and sea-level rise function as ‘accelerants of instability’ and ‘catalysts for conflict’ in volatile regions of the world. Michael Greenstone recently presented new results from the Climate Impact Lab at the National Academy of Sciences. This work (and the talk) follow logically from Sol's talk to the same NAS group back in November. The work Michael presented represented a major team effort that included [amazing] contributions by Tamma Carleton, James Rising, and Megan Landin here at GPL. Solomon Hsiang delivered a Keynote address "The Emerging Age of Data-Driven Policy Design" at Strata + Hadoop 2015. Solomon Hsiang delivered a keynote talk "Quantifying the Economic Cost of Climate Change" at the RMS Exceedence conference, where thousands of insurance and reinsurance executives and analysts met in Washington DC.